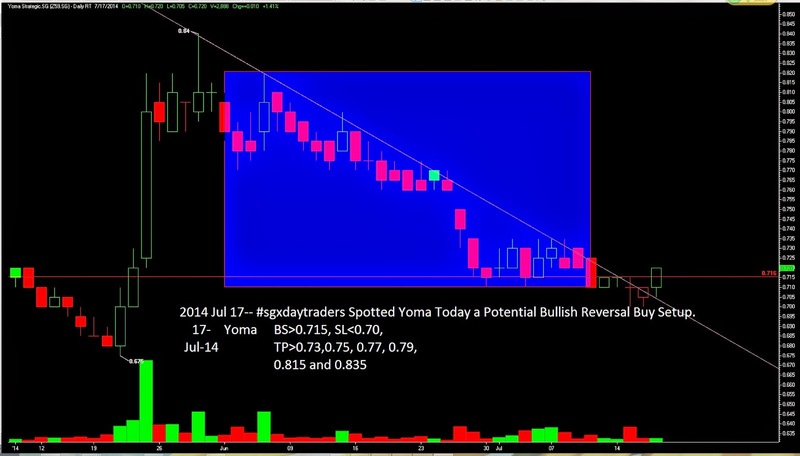 SGX Day Traders: 2014 Jul 17-- #sgxdaytraders Spotted Yoma Today a Potential Bullish Reversal Buy Setup. 2014 Jul 17-- #sgxdaytraders Spotted Yoma Today a Potential Bullish Reversal Buy Setup. Great post. Interesting depiction of the SGX day traders captured under Singapore market. But I need information regarding KLSE Malaysia and companies listed under it. As a newbie, your blog posts does a lot for me and it helps me a lot in understanding the ups and downs in trading SGX.